Just one partner for even more speed. Even more flexibility. Even more economy. 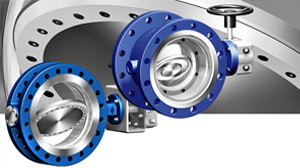 You need to have a partner who is capable of providing prompt and competent advice – no matter whether it's control valves you're looking for, for instance, or pressure reducing valves, globe valves, butterfly valves, safety valves, steam traps, actuators or application engineering solutions. Short lines of communication mean even more flexibility plus significant time savings – an excellent starting point if you want to maximize your profits. With ARI you profit from a comprehensive valve concept with 20,000 carefully coordinated products in 200,000 variants.